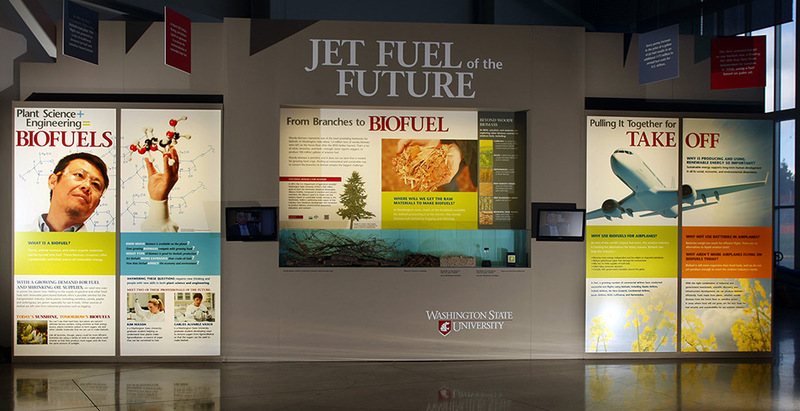 At the Future of Flight Aviation Center Gallery in Everett, Wash., you’ll find an interactive exhibit that focuses on aviation biofuels—and Washington State University research. Designed to inform a wide range of visitors, the exhibit details opportunities and challenges in producing sustainable aviation fuels. The Future of Flight Aviation Center Gallery attracts more than 200,000 visitors annually.